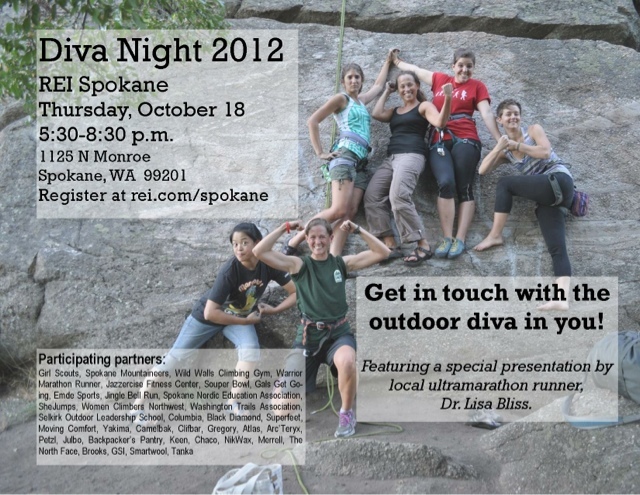 Join me next Thursday, Oct 18th for REI Diva Night! I am one of the presenting sponsors and will be raffling off great prizes from Saucony, Wigwam, and GU Energy Gel! See the notice below.